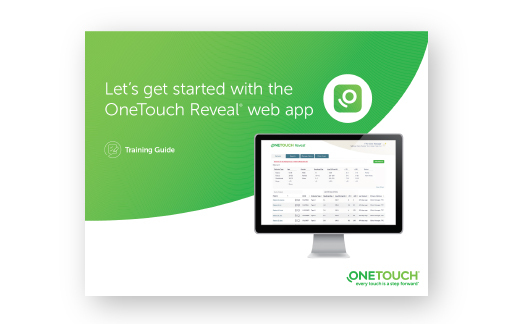 Here you can find your step-by-step guide to setting up and using the OneTouch Reveal® web app. Encourage your patients to activate their accounts so they can share their “between visits” data at each consultation. Before you begin, you will need a clinic account. Once you receive your username and temporary password, return to this page and follow the next steps. As the Clinic Manager (Administrator), you can now set up Clinic Users so they can also create and manage patient accounts. 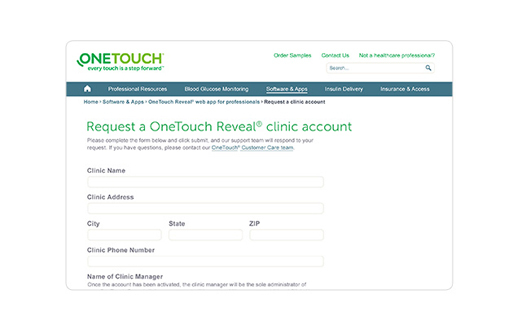 Learn how to create a OneTouch Reveal® clinic account, and sign into your account for the first time. 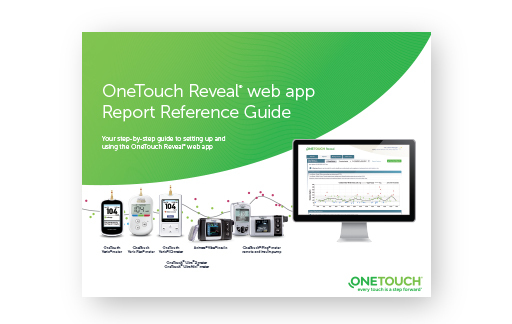 Review the OneTouch Reveal® web app for professionals Step-by-Step Guide. This Guide can be printed out and referenced by your staff. Encourage your patients to activate their accounts so they can share their data for each consultation. Learn how to add patients and view diabetes management reports in your OneTouch Reveal® clinic account. 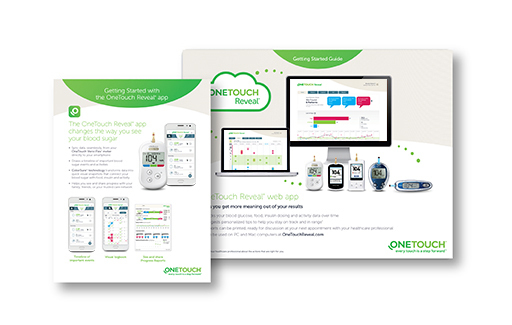 The OneTouch Reveal® mobile app Get Started Guide for patients, can help patients set up their OneTouch Reveal® mobile app and connect to your OneTouch Reveal® clinic account. The OneTouch Reveal® web app Getting Started Guide for patients can be shared with patients that want to view their data on their computer. It’s easy to use – so let’s get you started. 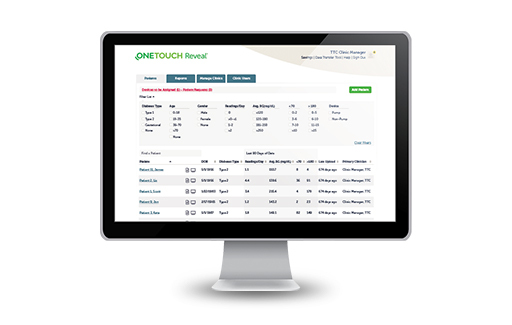 If you already have a OneTouch Reveal® web app account, click here to sign in. For more information on downloading data from OneTouch® meters by meter cable, please Contact Us.